Dr. Mariya Marinova is a highly qualified professional in the area of clinical , neuro ,and forensic psychology, as well as in speech pathology. She has a PSyD degree in Clinical Psychology from Medical University Sofia, Bulgaria and MD in Speech Pathology and Disability from Sofia University, Bulgaria. Dr. Mariya Marinova has long years of experience as a clinical psychologist, neuropsychologist and speech therapist. Her expertise includes: evaluation of the high brain functions, assessment of the mental functioning and psychological processes , counseling, speech assessment and speech therapy, forensic assessment , presenting criminal cases and cases of child abuse to the court. She has a good experience in quality assurance of services and program management and their adaptation according to national and international standards. 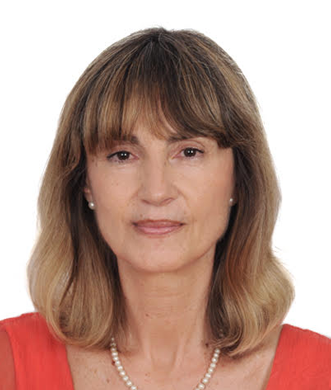 Dr. Mariya Marinova worked as expert clinical psychologist and speech therapist in the Ministry of Health and Ministry of Education in Bulgaria, Ministry of Labor and Social Development in Bahrain and currently in White Palm Consultancy as a Director for Quality Assurance of Programs and Services. Dr. Mariya Marinova participated recently as a speaker at the first Pediatric Conference in Bahrain 2017 on disability issues. She is a very successful professional that initiated and conducted many projects and innovative programs . Dr. Mariya Marinova is strongly motivated to help institutions and individuals in the areas of her professional expertise.